OPPO Australia is upping the ante in terms of customer service, offering free screen repairs for the first six months on its latest R11 and R11s Plus devices. The move follows hot on the heels of OPPO’s recent Canstar Blue award, which named OPPO customers as the most satisfied in Australia. By offering free screen repairs on its latest devices, OPPO is raising the bar once again in terms of customer satisfaction. “We’re constantly looking for ways to provide added value to our customers. Back in 2014 we started shipping our devices with free screen protectors and cases, which was almost unheard of and really well received by customers. With this latest initiative, we’re taking that a step further,” said Michael Tran, Executive Director at OPPO. “We have complete confidence that the screens are of the highest standard and durability. However, even with screen protectors and cases, we know that accidents happen, which can be frustrating and costly for customers. We home this gives them added comfort, knowing that they’re covered and a broken screen won’t break the bank,” Mr Tran added. All repairs are managed at OPPO’s dedicated repairs centre in Sydney. Consumers have the option to their post their device or walk in to the centre and deal directly with an OPPO repairs specialist. 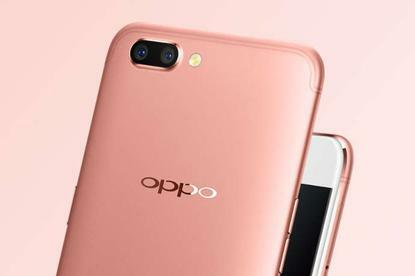 “Unlike other manufacturers, we manage all repairs in-house, so consumers can rest assured that their product is being looked after by a dedicated OPPO specialist,” said Tran. You can read our recent review of the Oppo R11s here. Full terms and conditions, as well as details of OPPO’s customer care offerings can be found here.